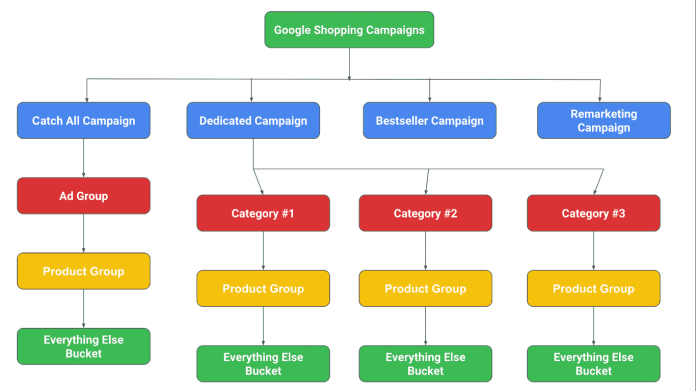 When it comes to building a strategy for your Google Shopping Campaign, most of the marketer follow the same Copycat Marketing 101 methodologies explained. Here, you’ll be driven through the best practices recommended by Google and loved by Industry practitioners who pride themselves on understanding the full breadth and depth of media channels that drive business outcomes for brands. 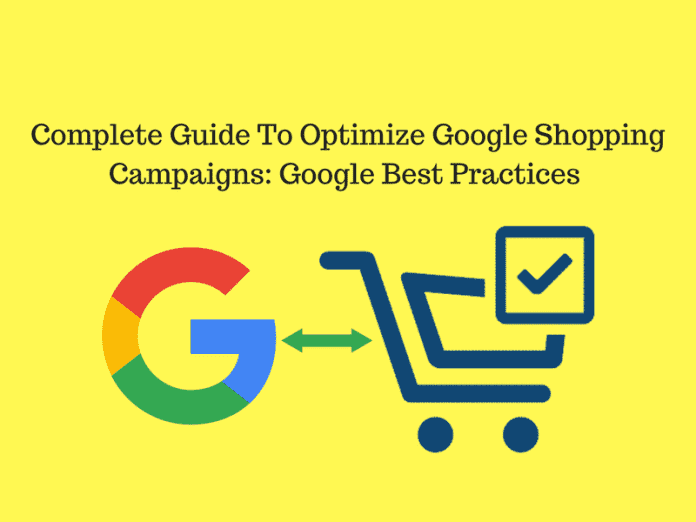 Why an eCommerce business vertical need to Opt-in Google Shopping campaign? Most of the young marketers have profoundly raised this question that why to opt-in Google Shopping campaign in their sales funnel and the answer is Google Shopping is the biggest revenue driver for both advertisers as well as Google because of its proficient engaging format, which drives a higher click-through rate and so as conversion rate. Now the question comes, what should be the best campaigns structuring technique? It’s should be simple…Yes, you heard right, you need to make it look easier and simpler from all the perspective so that you can keep a control on your cKPI whether CPA (Cost per acquisition), ROAS (Return on Advertising spend), or ERS (Effective revenue share=1/ROAS). 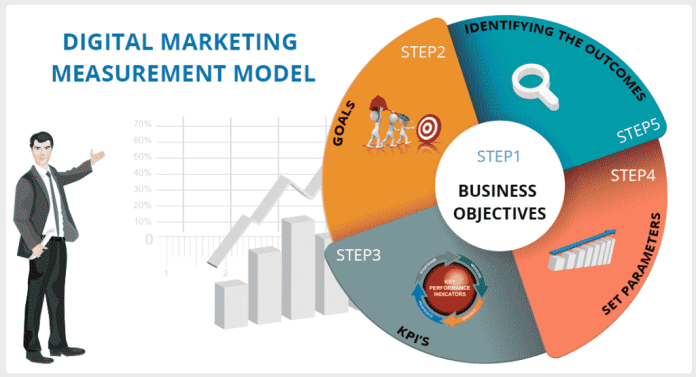 Decide your cKPI target and move on with us and let us help you optimize your account in order to collect every left out Cent/s($) on the table. Before heading to create Google Adwords Shopping Campaigns, you should have to be aware of Google Merchant Product feed. The details about the products that you submit to Google Merchant Center. Your product data is used to show dynamic ads and Shopping ads when you run a Google AdWords Shopping campaign. To send Google your product data, you need to set up a feed for your product information in a Google Merchant Center account. Moreover, you also need to learn about “How to create an effective Google Merchant Product feed?”. And then there you need to upload your product data in Google Merchant Center and provide all the basic information like business details, product details and, delivery details. Google picks up user search query from “How you have described the specifications of your product?”. So, choose honestly every single word which best describes your product and keeps it short and concise. Here are product data specifications, which will help to complete your product feed. Elite performance in the Google Shopping auction starts off with the quality and honestly hand-picked keywords (which best describe your product) of your Google Product Feed. Google will harvest and index your feed and serve up results based on what it deems to be the most appropriate match to the user’s search query. If you have a greater volume of optimized attributes versus your competitors, this will be a key advantage in impression share, cost per click and click-through rates. Item title: Most of the marketers will simply import their product titles into this column. However, savvy paid search marketers know that Google Shopping results will bold any sort of keyword matches to help users find what they are looking for. With this in mind, you can harvest your top search queries in terms of revenue or traffic contribution from your top text ad keywords and start to optimize your product titles for the best visibility and impression share. You will reap the dual benefits of increased CTR % as users will see more bolded keywords with your title versus the competition as well as higher impression share % as Google gets a more exact match to the user’s search query. Optimizing your feed in descending order of revenue contribution also ensures that your business will get the best bang for your buck. Item description: Rinse, and repeat as above explained with your descriptions and ensure that they are keyword rich for a few of the keyword variants that are driving the highest proportion of sales. If you are doing frequent ad rotations (which you should to figure out what type of messaging resonates well with your customer base), you can also incorporate some of those learnings into your product descriptions as well. 1. Why Create the “Catch-all” campaign? As the name refers “Catch-all”, The Catch-all campaign targets your entire offers in stock, which are approved by Google. The core idea behind creating a catch-all campaign is continuous monitoring or optimization of Google Merchant feed i.e. drive traffic of non-targeted offers or newly added SKUs in the feed. It’s recommended to set the Campaign priority to “Low” along with conservative bidding. The low bid will ensure that this campaign will serve last in terms of campaign priority and procure Avg. Cost per click(CPC) and expected Click through rate(CTR). No inventory filter should be applied at the campaign level. 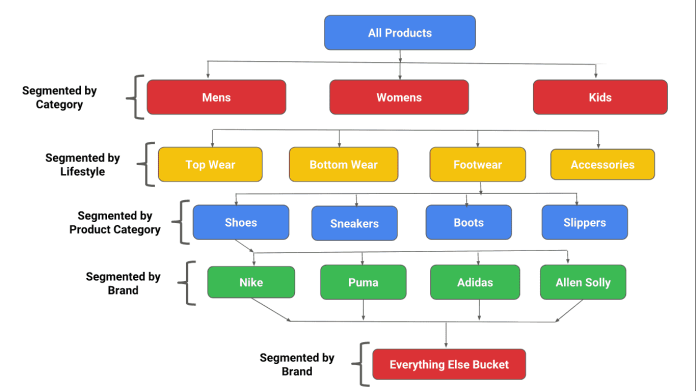 Do not exclude “Everything else” bucket: Most of the marketers exclude “Everything else” bucket from product group after segmenting all of the products. Leave that blank even If you do not have any left out product after segmentation. New SKUs after weekly/monthly updation of your product inventory comes directly into “Everything else” bucket and with default bid, they started serving. Segmentation of all Product into their respective category would help you to bid lower in Catch all campaign over dedicated campaign and others where the same SKUs are advertising. As the name refers, here we’re going to create a separate campaign, which would be dedicated to a specific category. Now, the question which germinates here is “If we’re already targeting all SKUs of inventory through Catch all campaign then why to create dedicate campaign for each category(refer Image 2)?”. The importance of creating dedicate campaign is that here we’re going to utilize either your Google custom labels defined or the Brand/Category columns that are present in your Google Merchant feed in order to better sculpt your traffic. Once you’ve created your first ad group within a Shopping campaign, you’re given the choice to subdivide “All products” into separate product groups, which you certainly should do. While an “All products” ad group is used as a catch-all campaign tool to ensure complete Shopping coverage, relying on it entirely leaves you with no ability to analyze performance and optimize. Bids: Bid higher over Catch all campaign. 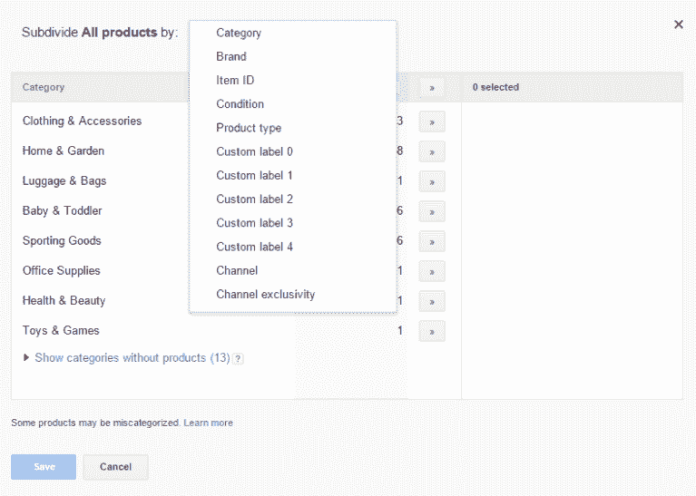 Inventory filter: If you’ve defined Custom label in your Google Merchant Product feed then It’s recommended to select the particular product category, right through this setting. Everything else bucket: Else you can mark your exclusion of non-related products. Example, Exclude all Products of Product category/type “B” from “A”. As the name refers, here we’re going to focus on 3rd campaigning strategy whose goal will be centralized towards engaging again with previous website visitors(Converted and Unconverted). Here, we’ll put our efforts in converting the single transaction to multi-transaction. Whereas in another hand, we’ll also put our efforts on product page abandoners. The users, who have visited the single page but not became inspire with your offerings and that’s why didn’t take any action on your website. Create more version for this on the basis of time duration. The ideal time duration for such list should be 30 Days and, 90 Days. The users, who have visited multiple pages but have not taken any action. Create more version for this on the basis of time duration. The ideal time duration for such list should be 7 Days, 30 Days and, 90 Days. The users who have added product/s to their cart but have not purchased yet. Create more version for this on the basis of time duration. The ideal time duration for such list should be 7 Days, 15 Days, 30 Days and, 90 Days. The users, who have previously made the purchase on your website but either added product to cart or only walk through the product/s in his/her next visitation. Note: Keep your eye closer on users, who have made the purchase in last season but didn’t make any purchase this year. Remarketing lists: Remarketing shows ads to people who’ve visited your website or used your mobile app. When people leave your website without buying anything, for example, remarketing helps you reconnect with them by showing relevant ads across their different devices. Creating and using all possible lists would be valuable to your remarketing campaign. Similar audiences list: The Similar audience is a targeting feature based on remarketing lists. Remarketing allows you to reach people who have already visited your site and connect with an audience that’s already interested in your products or services. This article explains how similar audience targeting works, and how the audience is generated. Customer Match: With Customer match, you can upload lists of contact information that your customers have given you. When those people are signed into Google, you can show them ads across different Google products. For more details on audiences lists, follow the link. Now you have your required audiences lists with enough size for search. The next step, which you need to create is Segment your Remarketing Campaign into various ad-groups(depends on How much categories, you have on your website). Add relevant audiences list at Ad-Group level. Let’s take an example, If you’re Ad-Group targeting Sneakers then their you need to add audiences list which having “People who’re most likely interested in to buy out Sneakers” or “People who have shown their interest in Sneakers” as well as “People who have previously purchased sneakers either from you(your audiences list containing converters) or Similar to that audiences lists”. Next interesting thing is bidding part. Google Adwords leverage you with two bidding strategy, which individually has their separate significance. We recommend you to Opt-In “Bid only” bidding strategy. For more on bidding strategy, check out this link. As your Catch-All and Product category dedicate campaigns collect data, they will start to provide enough user-driven insights for you to flesh out the remaining, more specific layers of your Google Shopping campaign. The eventual goal is to create SKU-specific ad groups that are targeting one ID; this will allow you to get the most granular performance and the best shaping of search queries to SKU IDs. The Core idea behind setting up Bestseller campaign is to put a little extra effort and media budget to generate revenue from highest selling products from every category. Guidelines for creating Bestseller campaign: Before heading to create Bestseller Shopping Campaign, you have to perform few more task in order to choose the highest selling SKUs. Bestselling Product Groups: In order to get the highest selling SKUs, firstly you have to choose your best selling product groups. Clicks: Assume a standard figure of the number of clicks on the basis of calculating the average number of clicks across entire Product Groups. Let’s say 100 Clicks. Conversion: Assume a standard figure of the number of conversion on the basis of calculating the average number of conversion across entire Product Groups. Let’s say 5 Conversion. cKPI: Whether your cKPI target is CPA(Cost per acquisition), ROAS(Return on Advertising spend), or ERS(Effective revenue share=1/ROAS). Product ready to serve: It’s totally up to advertiser whether they wish to take products groups having a certain number of SKUs. Let’s say Product groups having 50 SKUs. From here, you’ll be able to get your highest selling Products Groups. Now next, you to go to Dimension tab to pick highest selling SKUs throughout the entire inventory. By applying above explained cKPI supporting filters at Dimension tab, will help you to get highest selling SKUs. By using above explained strategic approach, you’ll have the top 20 or 50 SKUs from each Product category from your website. By following the similar technique as explained for Remarketing Shopping Campaign, you’ll be able to create RLSA based Bestseller Shopping campaign. Better Performance: Your campaign will perform better because it will have more specific promotion text, its own set of negative keywords, its own adjustable bids (and corresponding bid adjustments) and budget. Better Data Mining Capabilities: With your campaign structure segmented this way, it will become infinitely easier to refine the campaign progression. 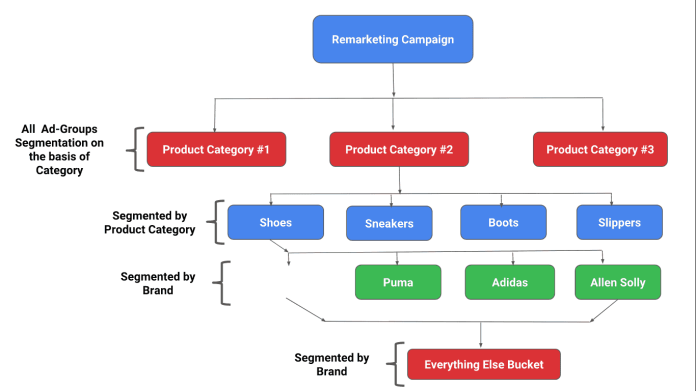 All the search queries and product IDs regarding your every specific product will immediately be routed toward your dedicate product category campaign, and this will allow you to quickly build out the next levels of hierarchy. More Predictability: As you wrest control away from Google Shopping’s serving algorithm, you will start to shape your traffic on your terms. If a few product IDs or search queries aren’t performing well enough to your liking, you can quickly identify and remedy that. If you have search queries or product IDs that are driving significant profits for your business, you can fine-tune your campaign structure to maximize your impression share. Your comments are Oxygen for us!